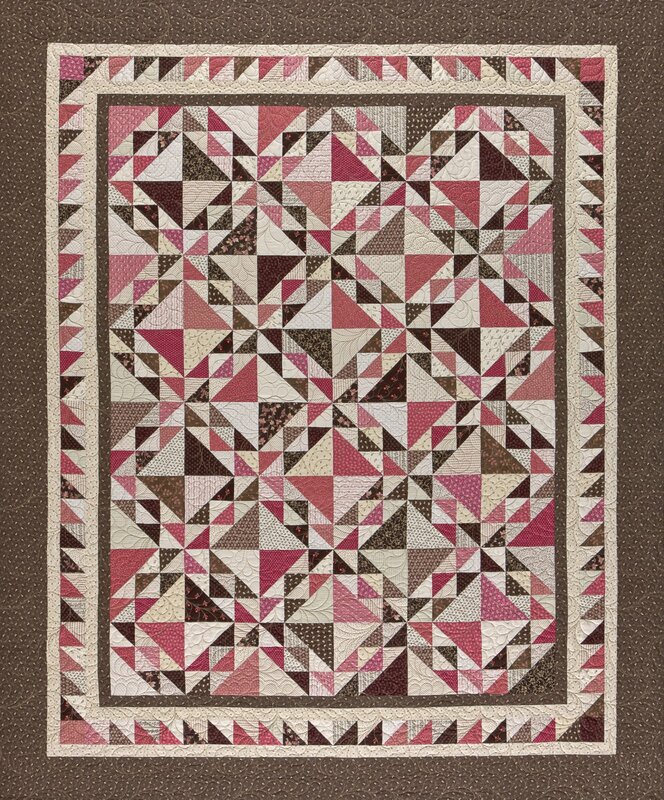 Quilt in pink and browns measures approx. 81" X 99". Kit includes the fabric for the quilt top, the pattern and 3" Star Singles for making the half-square triangles the easy way. Limited Quantity. Designed by Paula Barnes, machine pieced by Mary Ellen Robison and quilted by Sharon Dixon.